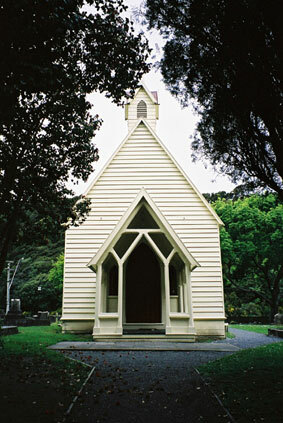 Nestled in the heart of the Hutt Valley, historic Christ Church was built in 1853 and opened for worship on New Year’s Day 1854. 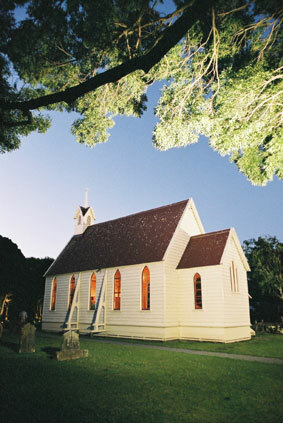 Christ Church, the oldest church in the Wellington district, is a regular and popular venue for wedding services. 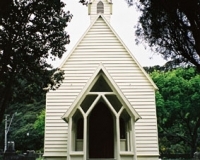 This tiny Anglican Church welcomes weddings from all denominations. 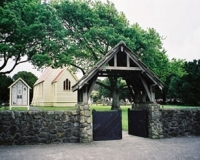 The first wedding at the Christ Church was on 10 January 1854 between James Harris and Mary Jane Mabey from two pioneer Hutt families. 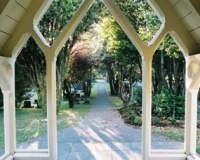 Built in the Gothic Carpenter style, with steeply pitched roof; lancet windows and porch tracery, Christ Church is the perfect setting for an intimate wedding. 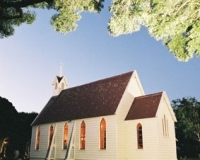 The church seats 75 – 85 people but has held a total of 95 at a pinch. Today one approaches the Church from Eastern Hutt Road but originally its entrance was on High Street via a row of yew and holly trees. At night the Church and trees are floodlit and the effect is magical. The charming graveyard records names of many of the Hutt district’s pioneers and tells much of the history of the district. This is ideal settling in which to have photos taken. 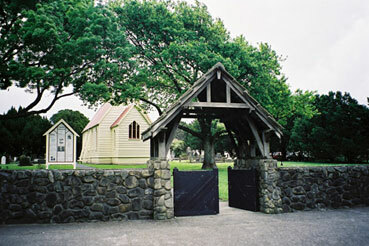 Christ Church is listed by the New Zealand Historic Places Trust as a Category I historic place. A non-refundable deposit of $50 + GST is requested. However, the time and date can be changed. 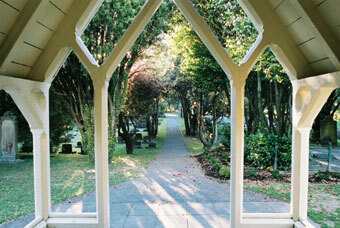 To book a wedding email info@christ-church.org.nz or phone the Secretary, Janice Henson 04 586 5700. We absolutely loved holding our wedding at the Christ Church Taita and our guests were blown away with how beautiful the church was and how well looked after it is. The day went absolutely perfect and I couldn’t have been happier. You have a stunning facility!!! Thank you also for all your help in organising and for all your emails. You made everything so smooth and it was a pleasure to work with you. Thank you Susan for being there for us to open up the church for our rehearsal. Having that rehearsal gave me peace of mind on the day so that I wasn’t anxious about anything and as a result the whole processional went smoothly. We can’t thank you both enough for everything.